In the spirit of ideas worth spreading, TED has created a program called TEDx. TEDx is a program of local, self-organized events that bring people together to share a TED-like experience. Our event is call TEDxCardiff, where x=independently organized TED event. At our TEDxCardiff event, TEDTalks video and live speakers will combine to spark deep discussion and connection in a small group. The TED Conference provides general guidance for the TEDx program, but individual TEDx events, including ours, are self-organized. I run TEDxCardiff with Neil Cocker. The first TEDxCardiff was held in 2010, it’s one of hundreds of TEDx events held through the world, one of a small number held int he UK and is the only TEDx event held in Wales. The aim of TEDxCardiff is two fold, to inspire our audience by providing a stage for world-class speakers to share their thoughts and ideas, and also to promote Cardiff as a thriving, dynamic city with an incredible culture. More information on TEDxCardiff can be found on the official website. Imagine that you’re on stage in front of an audience of hundreds of people, doing a five-minute presentation using slides that automatically rotate every 15 seconds, whether you’re ready or not. What would you do? What would you say? Could you stand the pressure? If you think that you could, Ignite is for you. Ignite was started in Seattle in 2006 by Brady Forrest and Bre Pettis. Since then hundreds of 5 minute talks have been given across the world. There are thriving Ignite communities in Seattle, Portland, Paris, and NYC and it is an internationally recognised format for producing dynamic, high energy and engaging presentations. Working with Neil Cocker, Founder of Nocci, I’m really excited and thrilled that Cardiff was the first UK city to have held an Ignite event. 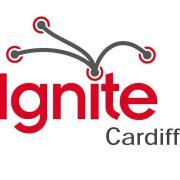 Since the first Ignite Cardiff in 2008, Ignite events have since been held in Leeds, London and Bristol. If you’d like to talk about any of these events or event management please send an email to claire.scantlebury@gmail.com. I was astonished too. Just starting an online push for a client who’s realised it pays much better than press advertising. Being a regional journo too, I have a real affection for papers – but we have to move on and start seeing the power has shifted massively.